Thank you for this. 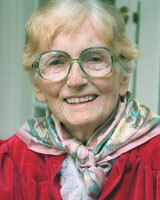 I've just discovered Catherine Cookson's work through Netflix offerings and have greatly enjoyed them. Thanks Gina. Yeah, a great woman - especially, perhaps, for her charity work and donations.